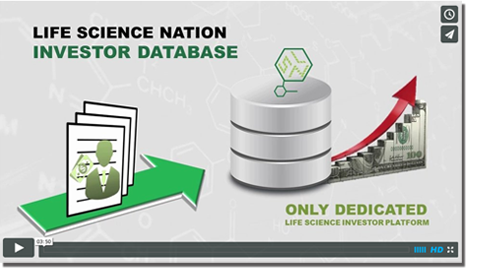 Last week, Life Science Nation debuted a new feature for its sourcing platform that easily connects products, services and capital throughout the life science arena. This new feature solves the problem of what happens when you export data from a live database and import it into a static, in-house CRM – the result of which is typically out-of-date data. Don’t get me wrong – I understand the value of having an in-house CRM, which brings conformity and standardization across the user base, but it also leaves the data in a rapidly aging state. Anyone who has been following my diatribes on data and data profiling knows my mantra is that data comes in two states: out-of-date, and very-out-of-date! The value of fresh, accurate data is indisputable. The reason that I am particularly excited about the new feature of the LSN database is that we now have the capability to automatically send you an email if any of the profile information that you have exported into your CRM has been changed or updated. For instance, if you have a particular profile of a company that is of interest to you, and a new one comes into the LSN live database, then you can get that new company profile emailed to you. This is a dream come true for sales, marketing and business development folks, as most use the LSN database for lead generation. For example, if you are a scout for a pharmaceutical, CRO or medtech company, and you need to keep track of new developments in the field of oncology, you can use the LSN database to do a search for all the emerging oncology biotechs and export them into your CRM. With the saved search filter feature, when a new profile comes into the LSN database, the system will see you have set a flag on that particular profile of an oncology company, and send that profile to you automatically. The reason that this is wonderful for sales, marketing and business development professionals is that using this feature enables new, hot leads to go directly to their email inbox. This is important because more than just having the ability to flag company profiles, our platform offers information on company technologies, financing rounds, product pipelines, licensing deals & opportunities, and management details. Waking up in the morning and having an email inbox full of new leads to go after without having to do the grueling, tedious market research will not only be a big time saver, but a welcome addition to any repertoire of sales tools. If any company that you have decided to track makes an update, for instance, going from phase I to phase II, securing a financing round, or an executive personnel change, all that critical data is now sent directly to you, making it a breeze to update your target list.